You'll be £9.99 closer to your next £10.00 credit when you purchase Spitfire. What's this? Spitfires and their sea-borne brothers Seafires are legendary fighter planes, well known amongst both the Axis and the Allied forces, this DVD covers intriguing aspects of their history normally forgotten in modern films. Aircraft Recognition: Spitfires is a film that covers the engineering and technological background of the Spitfire and the different versions that were produced. It helpfully shows the different key engineering milestones in its history amongst the different versions that were produced and identifies why these changes were made. It also covers the areas of combat in which these spitfires thought with some real combat footage. Fighter Pilot shows the realities of being a pilot of a Spitfire during world war II, the cramped conditions that the pilot faced with all of their equipment, including their thick clothing and oxygen masks. This film shows the training that a pilot has to undergo in order to fly one of these machines and the viewer gets to go on a real patrol with the spitfire. The Daily Inspection of a Spitfire is the final of the three films and perhaps the most enjoyable film for any aviation enthusiast. This film shows the spitfire undergoing its daily inspection which shows all the fine details that must be undertaken to keep this plane air worthy during the war and shows the roles of the rigger, the flight mechanic, the armourer, the wireless operator, the electrician and the instrument repairer undertaking each of their individual checks. These three films are taken from original war time films and therefore give an insight into the second world war in a way that no contemporary documentary is able to. 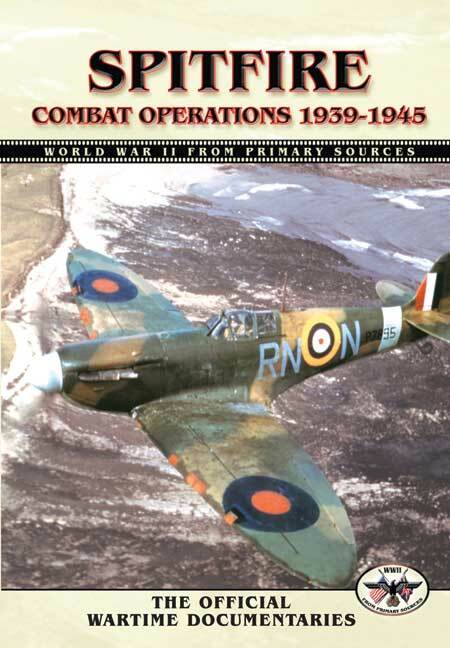 This is genuinely the ultimate primary source guide to the aircraft that helped save Britain in 1940 and flew on through the war and into the times that followed victory. The three public information and training films provide a fascinating look at a great battle-winning weapon with spotting information that helps to understand the succession of Spitfire Marks that enabled it to meet newer generations of German aircraft and expand its envelope of operation.